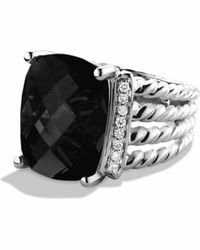 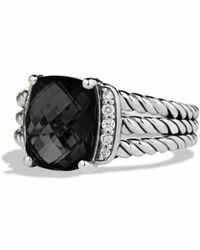 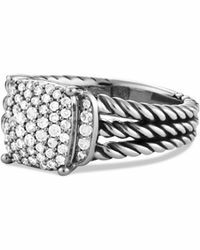 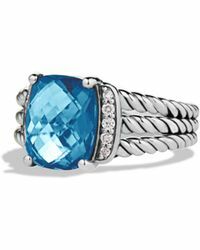 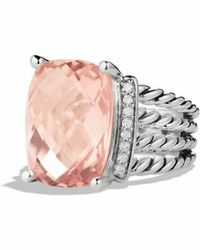 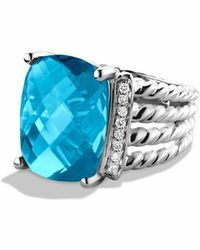 Next time you’re looking for a gift for someone special (or yourself), we suggest you try the David Yurman Wheaton ring. 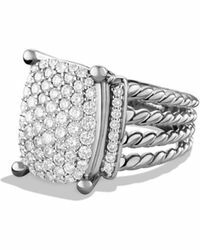 Crafted from 18-karat gold and finished with a faceted stone and pave diamonds, this piece is the epitome of timeless luxury. 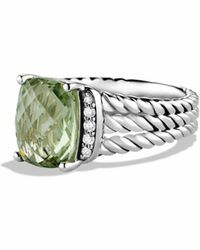 Whether you choose yellow gold or a sterling silver design, the David Yurman Wheaton ring is a sure-fire way to lend any look an opulent touch.